Technically, that makes these ready to pot in soil, but I’d like to grow the roots a little sturdier first. 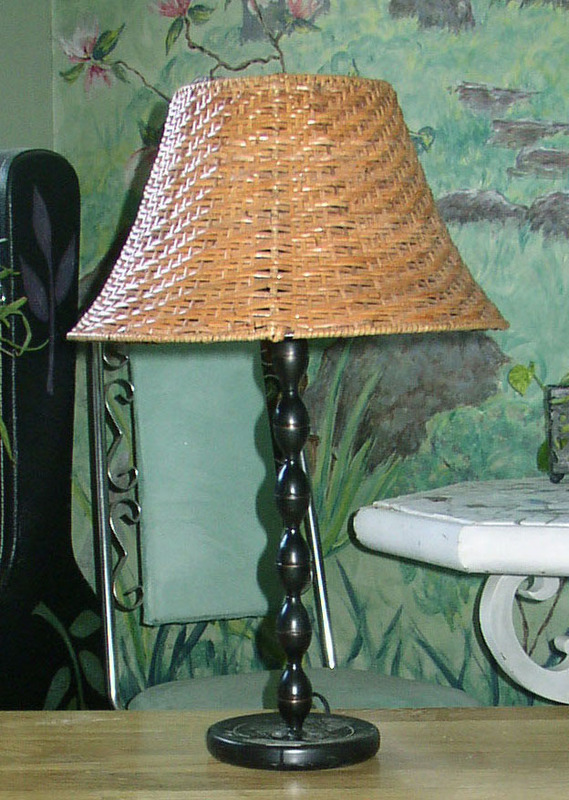 “Anybody have dibs on the lamp?” my ivy-bearing friend asked last week, her eyes narrowing as she contemplated it. “Well, I don’t have room for it. I don’t need it,” I added. Besides, I didn’t have a clue what I would do with the shade. Spray paint it jade green maybe? Nah. No idea what I would do. “I don’t need it, either,” my friend said. We both looked at it for awhile, thinking, imagining. Neither of us wanting to take the lamp for what might turn out to be total destruction in the end. Especially if the other person was just being polite or something. “What were you thinking of doing?” I finally asked. It became obvious that a joint project was in order. Basically, it’s this: tonight when she brought me the ivy, I kept the base, and she took the shade. We decided on a colour scheme of sunflowers and cobalt blue. That’s all we are going to tell each other. We are going to work on our own halves, bring the lamp back together, and post the final result here! Incidentally, that isn’t my watering can, but the one my feline overlords use for a water dish. What is it about cats that they will drink out of anything BUT a water dish? The watering can is heavy to change, but I gave in because it fits my garden theme, and it keeps them out of people’s water glasses. 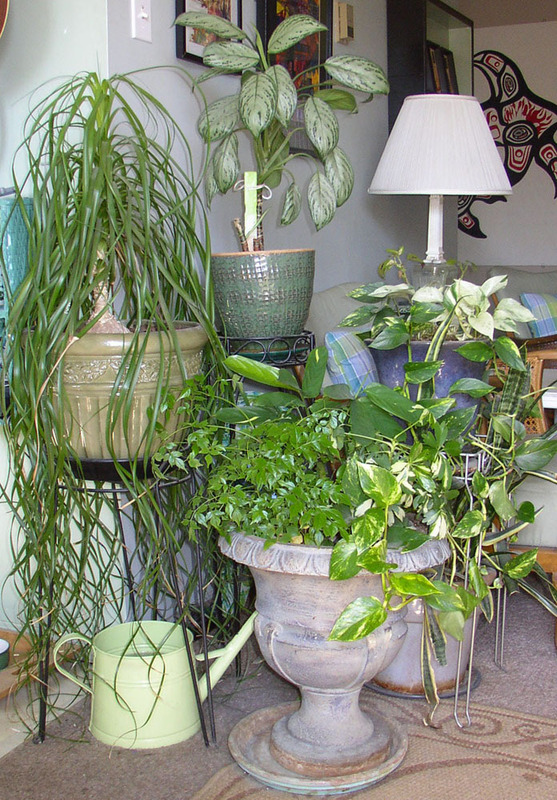 Even the Ponytail Palm is conspiring to turn the corner into a grotto for cats. Haven’t you always wanted a glass head? I got mine at Pier 1 about 10 years ago. I filled it with LED mini-lights instead of incandescent mini-lights, as incandescents burn hot inside the glass. Then I wrapped a scarf around her and gave her a pair of sunglasses that was in my friend’s give-away pile. I’m not too happy with the colour of the “white” LED lights – they are very blue. I miss the warm yellow light of the others. I may try it with a string of coloured LEDs. It’s been awhile since I worked on a joint project with another visual artist! Possibly the last one was the mural my mom and I did. Our deadline for the lamp is the middle of April, so be sure to watch here for what we come up with. This could be crazypants time! What happened to the lamp? Or is it me and I missed the follow-up? I just found your blog (apartment therapy I think) and read most of it this morning. Fantastic! I dig your prose and photography skills, and I love your art! Any chance of buying a print of the ficus watercolor, btw? Thank you for sharing so many brilliant things. I was procrastinating, dreading my chores, and stumbled over this blog. It – resonated. My brain started ticking, playing tetris with mental blocks, slotting some of them neatly into place. And not the usual “it fits, that has to do for now” place, but beautifully creative places that suddenly made sense. I couldn’t do that for a long time. 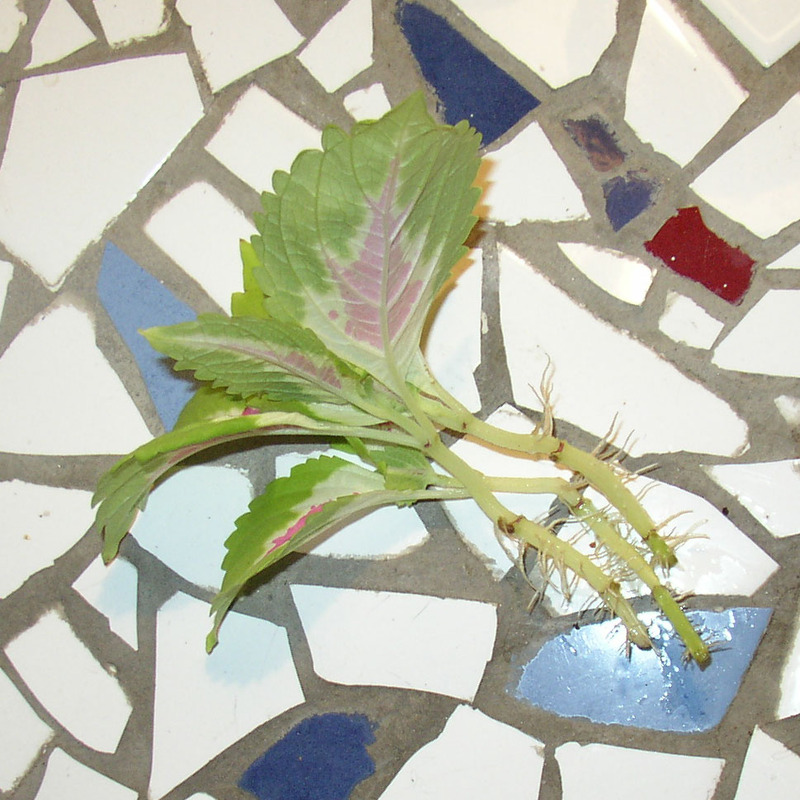 And the coleus started it. My chores are done (with music), and I have a starting point for after work. A perfect starting point your blog gave me. And when I have started, I might treat myself to to the Van Gogh episode of the Doctor, and make plans for that lamp I have. You might have changed my life. Thank you.